This book is an intimate, fond, and funny memoir of one of the greatest novelists of the last century. 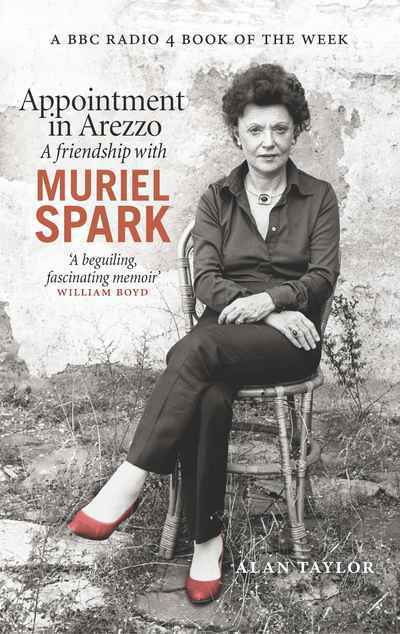 A colourful, personal, anecdotal, indiscrete, and admiring memoir that charts the course of Muriel Spark’s life revealing her as she really was. Once, she commented sitting over a glass of chianti at the kitchen table, that she was upset that the academic whom she had appointed her official biographer did not appear to think that she had ever cracked a joke in her life. Alan Taylor here sets the record straight about this and many other things. With sources ranging from notebooks kept from his very first encounter with Muriel and the hundreds of letters they exchanged over the years, this is an invaluable portrait of one of Edinburgh’s premiere novelists. The book will be published to celebrate the 100th anniversary of Muriel’s birth in 2018.